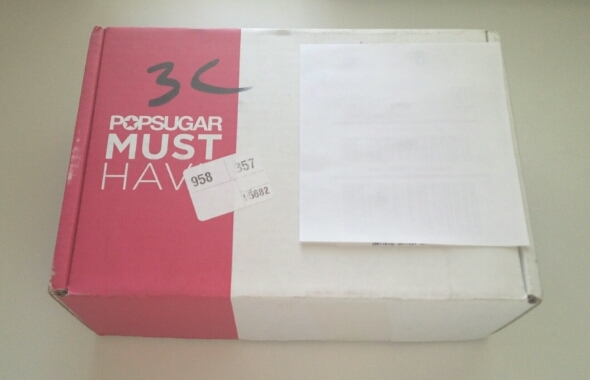 Popsugar Must Have Box Review September 2015 + Coupons! Popsugar September Review + Coupon! Popsugar Must Have Box is a lifestyle box. It has a delightful mix of different items like accessories, beauty, fashion, fitness, and home items. Useful items too! Popsugar Must Have Box is $39.95 a month with free shipping to US only. Use code ARROW and you’ll receive the BaubleBar Arrow Necklace free. A $32 Value. Limited time & while supplies last! It will show a -$0.40 in the cart. That’s how they know to send you the necklace. Or code MUSTHAVE5 for $5 off your first month. You can check them out HERE. Information card detailing all the items. 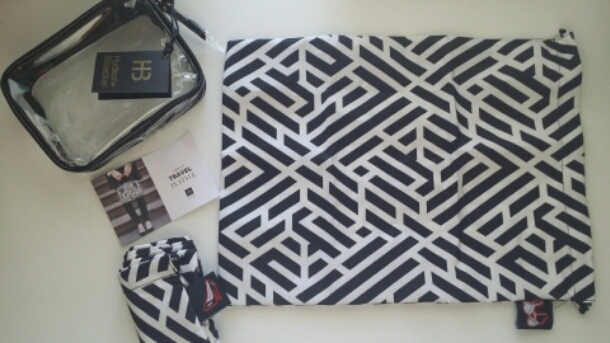 Hudson and Bleecker Labyrinth Onyx Travel Trio. Value $45. I couldn’t find this set online but they have matching pieces. Comes with a clear cosmetic case & 2 travel bags. One for shoes and one for intimates. Or whatever you want =) The bags are a good size! 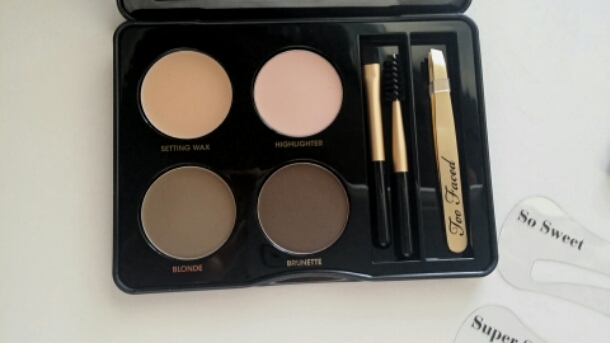 This is a great travel set. 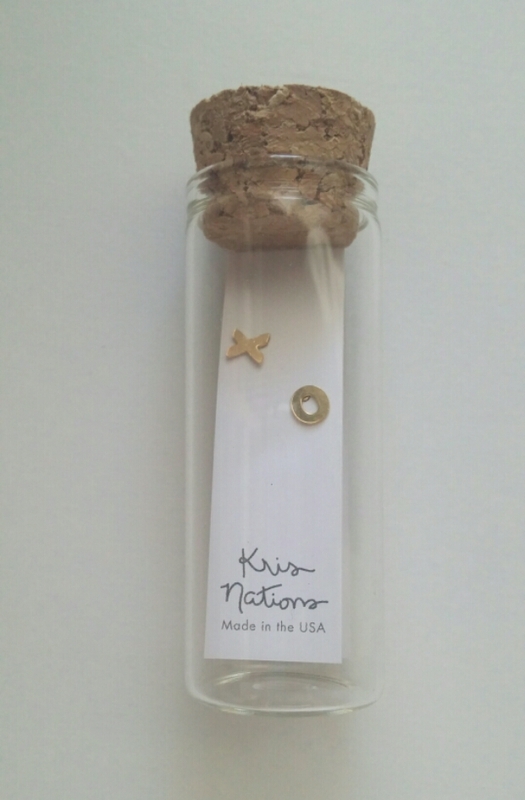 Kris Nations XO Stud Earrings. Value $35. Cut from recycled brass, plated in sterling silver or 14k gold. Attached to a sterling silver posts. Comes packaged in glass bottle, ready for gifting! Handmade in USA. These are an adorable gift! I love the bottle. 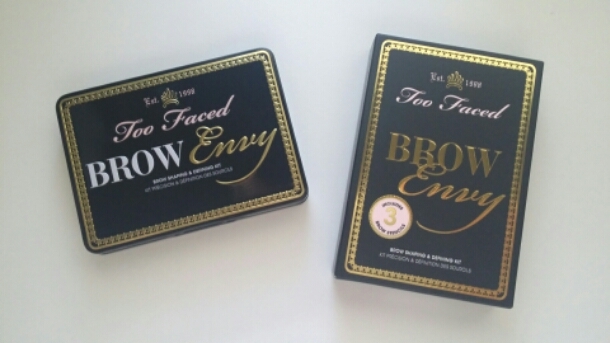 Too Faced Brow Envy Kit. Value $39. Portable kit. Professional tweezers, easy-to-use stencils to customize your brow shape, conditioning wax, powder & brow brush tools. Another great travel item. Small & has everything! 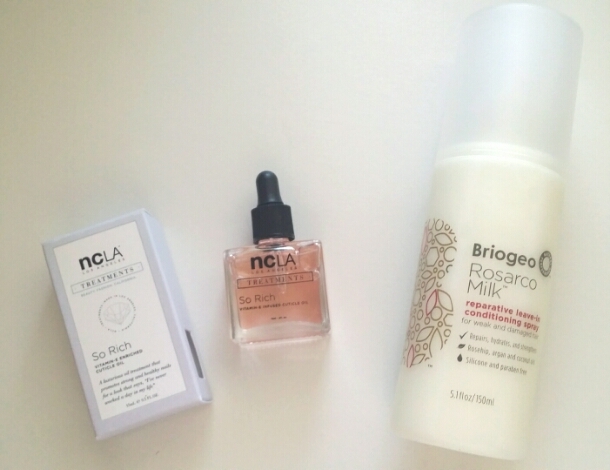 •NCLA So Rich Cuticle Oil. Value $16. I can definitely use some cuticle oil! Great addition for me. •Briogeo Rosarco Milk Reparative Leave-In Conditioning. Value $20. I use a leave in conditioner daily. The reviews are mixed on this so I’m not sure what to expect. 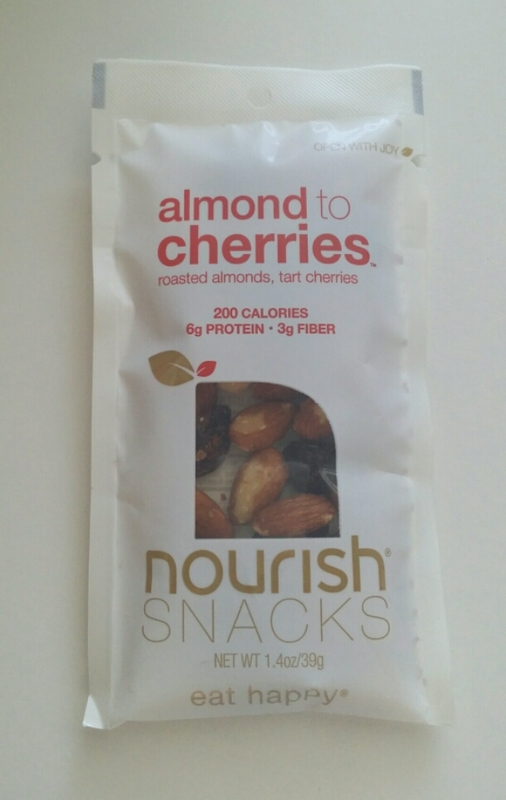 Nourish Snacks Almond to Cherries. Value $2. They always include a snack. And they are are ways pretty good. Total Value $157. Cost of the box $39.95. That’s a great value! But, Popsugar always has a great value. I love the quality products. All the items are useful for me. That’s why they remain one of my favorites! The are my gift every month for myself. Very happy once again! If you’d like to check them out you can do that HERE. Don’t forget code ARROW or MUSTHAVE5.